Are you looking for the best housing option in South Carolina? Attention to detail and dedication to our residents are what set Peachtree Place apart from the rest. That's why we are the number one choice in Columbia apartment living. Come home to comfort and convenience with welcoming apartment homes designed specifically with you in mind. Our variety of four unique floorplan options with spacious layouts, modern kitchens, and choice appliances make us certain that you will find a home that fits just right with your lifestyle. Our hospitality doesn't stop with our in-home features. A variety of appealing community amenities like a sparkling pool and sunbathed deck, as well as a fun community playground and beautiful views allowing you to find everything you are looking for. Peachtree Place is located just minutes from downtown Columbia, and gives you access to great shopping, dining, and entertainment. Visit Riverbanks Botanical Garden and Zoo, grab a bite at Real Mexico, or enjoy a little retail therapy at St. Andrews shopping center. Commuters and travelers will love our convenient location close to several major highways including I-20 and I-26. With so many quality features and a great location, Peachtree Place will give you everything you need. We'll do our best to wrap you in comfort and smother you with service.  Visit us today to take a private tour of our welcoming community or apply online now to begin making Peachtree Place your new home.